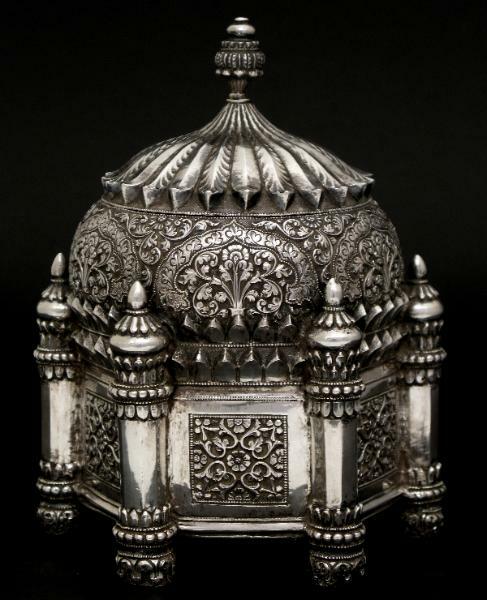 This beautiful jewel-like box has an architectural form reminiscent of Mughal domes, palaces and mausoleums. A dome rises from the exceptionally finely chased walls and is itself finely chased with Indo-Persian floral motifs. The surrounding columns add to the architectural theme. 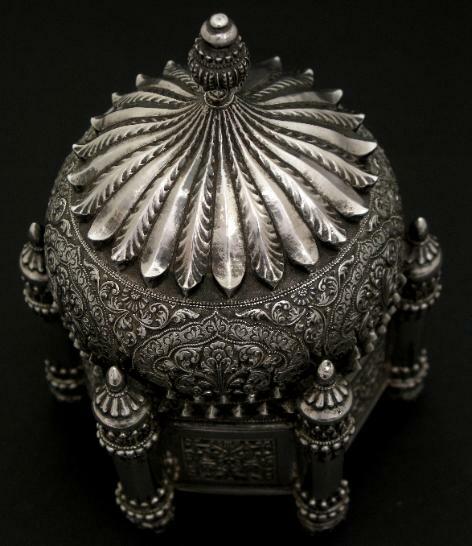 Most likely used as a pandan to hold paan or betel. The box dates to the 19th century but has plenty of 18th century design elements.